There is an old architecture joke that says any building that doesn’t fall down is a building worth celebrating, but we’d bet the 30 female architects on this list would argue that it takes much more than that. The women in our list have contributed substantially to the field of architecture – through design, innovation, writing, and education. Directly or indirectly, they are leading the way for the next generation of women architects. Angela Brady is an Irish architect best known for the work she’s done advocating for more women in the industry of architecture. In 2011, she was the first non-British person, and the second woman, to be elected to a two-year term as President of the Royal Institute of British Architects (RIBA), and has also held a position as chairperson of the Royal Institute of the Architects of Ireland. Since founding RIBA’s Architects for Change group in 2000, Brady has worked tirelessly in her campaigning and has stated, “We [architects] are only 18% women and I’d love if we could push [that number] to 40%.” To help do this, Brady increased involvement with television and radio programs in order to “show the public that what architects do is a great opportunity.” Additionally, Brady is a co-founder of the London-based firm Brady Mallalieu Architects. Anna Heringer is a German architect based in Salzburg, Austria. After studying at the University of Arts and Industrial Design in Linz, Austria, Heringer spent an inspiring year volunteering in Bangladesh. After completing her university thesis “School: handmade in Bangladesh” in 2004, Heringer set out to make her research a reality. From fundraising to construction, Heringer’s greatest work to date, the METI Handmade School, currently stands in Rudrapur, Bangladesh. Heringer has become well known for her sustainable designs, others of which include a vocational school for electricians (also located in Bangladesh) and the Training Centre for Sustainability in Marrakech, Morocco. In 2007, Heringer received the Aga Khan Award for Architecture for the METI Handmade School. Sarah Calburn is a well-known South African architect who has made a name for herself in such architecture hotspots as Paris, Hong Kong, Sydney, and Melbourne. Just one year after receiving her Master’s degree, Calburn established her own firm in Johannesburg, where she has dedicated herself to establishing both creative urban developments and luxury housing. Despite her massive success in urban development, Calburn is perhaps best known as the designer of Jo’burg’s world famous Momo Gallery. Calburn has also taught various architecture courses at the University of Witwatersrand, University of Cape Town, and the Royal Melbourne Institute of Technology in Australia. Michelle Kaufmann is a California-based designer of green prefab homes. She started her career working for Frank Gehry, but branched out on her own shortly after and founded Michelle Kaufmann Designs (which later became Michelle Kaufmann Studios). Kaufmann’s most famous project is probably her own home, called Glidehouse, which is sustainable in design and influenced by Japanese homes, Eichler and Eames, and rural farm buildings in places like Kaufmann’s home state of Iowa. In 2006, Kaufmann built a full-size replica of Glidehouse for the National Building Museum in Washington, D.C. as part of “The Green House” exhibit. Other Kaufmann-designed projects have appeared in Sunset magazine, an exhibition at San Francisco’s City Hall, and at an exhibition at the Museum of Science and Industry in Chicago. 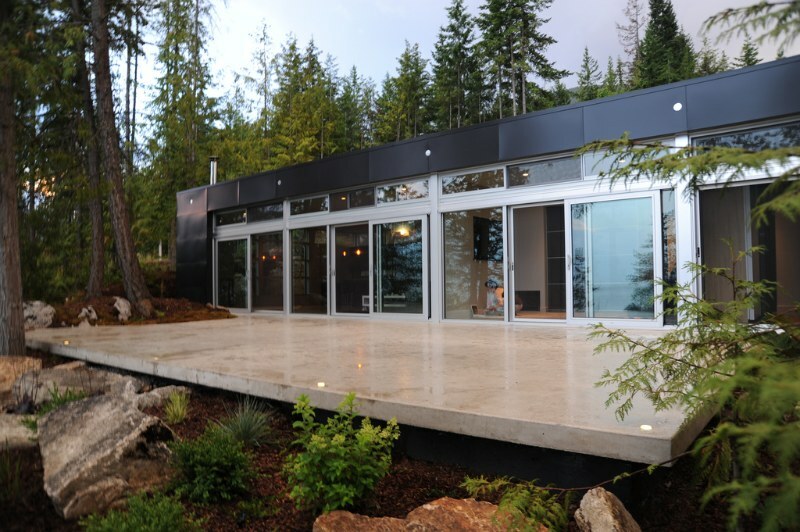 Kaufmann has won a number of awards for her work in sustainable architecture and was even named the “Henry Ford of green homes” by Sierra Magazine. Another pioneer on the trail of affordable and sustainable housing in Rocio Romero, a Chilean-American architect. She is best known for her minimalist prefab homes, which arrive flat-packed and can be constructed in as little time as a month. Dwell Magazine called Romero’s “LV” homes “the perfect $100,000 house,” which must be correct since there are now more than 300 of them across the world (mostly the U.S., France, Chile, and Canada). Romero’s work, which also includes a line of home accessories and furniture, has been featured in a number of publications and museum exhibitions, including the Walker Art Center, The Museum of Contemporary Art in Los Angeles, the Vancouver Art Gallery, and the Triennale di Milano. Zaynep Fadillioglu is a Turkish architect who began a career in computer science only to eventually realize a love of architecture. Her initial success came as a designer of restaurants. In fact, Fadillioglu designed over 20 establishments that can still be found in such cities as London, New Delhi, and Abu Dhabi. However, Fadillioglu is best known as the first woman to design a mosque. In 2009, Fadillioglu received international acclaim when she unveiled the Sakirin Mosque in Turkey. Uniquely, Fadillioglu made sure that the mosque honored women by ensuring that both the men’s and women’s upper galleries were equal in terms of both size and beauty. Over the course of her career, Fadillioglu has been awarded with a number of honors, including the Andrew Martin International Designer of the Year Award (2002), the House & Garden International Interior Designer of the Year (2002), Modern Designer of the Year Award (2005), and The Wifts Foundation International Visionary Award (2011). 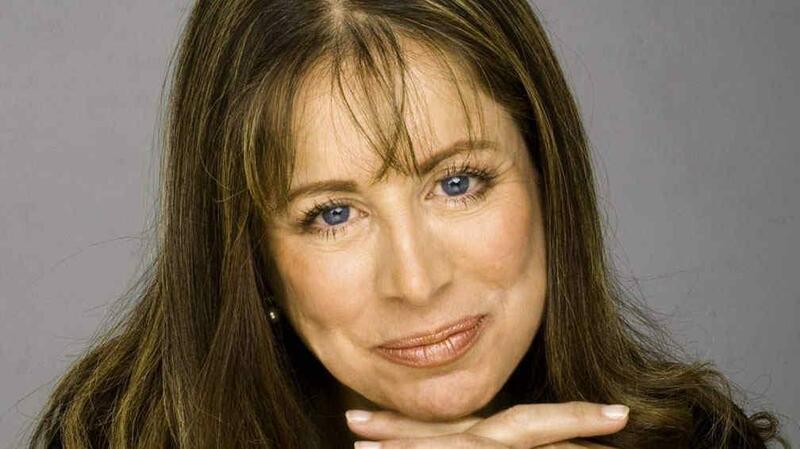 Victoria Meyers is a founding partner of the firm Hanrahan Meyers. She has led the design of a number of award-winning projects including the Won Buddhist Retreat, Infinity Chapel, White Space, and the Digital Water i-Pavilion. Meyers is especially well known for her residential projects, urban master plans, and public buildings. 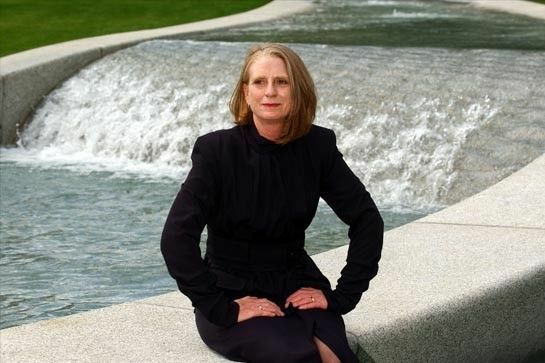 She has received a number of awards over the years, including an American Institute of Architects award for her Buddhist Retreat and the honor of being named one of Buildblog’s “Women Making an Impact.” Meyers is also the author of “Designing With Light,” a popular architectural text. After receiving her degree in architecture from Kanto Gakuin University, Japanese architect Itsuko Hasegawa was chosen for the prestigious position of assistant to Kazuo Shinohara at the Tokyo Institute of Technology. In 1979, Hasegawa formed her own firm, Itsuko Hasegawa Atelier, and has since been responsible for the design of a number of award-winning buildings in Japan. Her most famous projects include the Sumida Culture Factory, the Shonandai Cultural Center, the Niigata City Performing Arts Centre, and the Himi Seaside Botanical Garden. Hasegawa is an honorary member of the Royal Institute of British Architects, and in 1986 was awarded the Design Prize from the Architectural Institute of Japan (Bizan Hall). She has also been the recipient of the Avon Arts Award and in 2000 she received the Japan Art Academy Award（Niigata City Performing Arts Center). Alison Brooks is an award-winning architect known for designing smart, yet beautiful, residential buildings. After graduating from Canada’s University of Waterloo, Brooks did a short stint as partner at Ron Arad Associates in London before branching out and establishing her own firm. 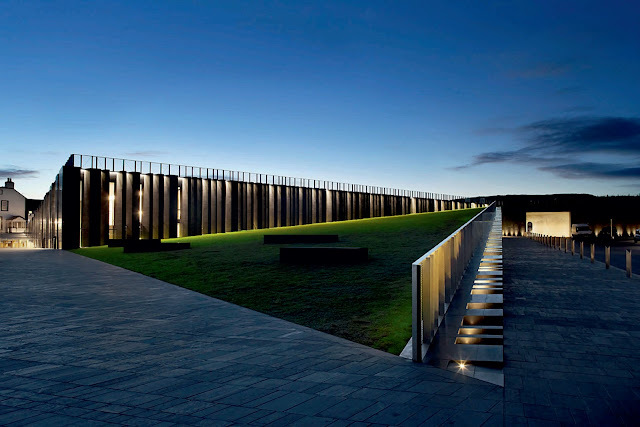 Just three years later, in 1999, Brooks placed third in the UK’s “Young Architect of the Year” competition and was awarded a European Hotel Design and Development Award. In 2008, Brooks won a coveted Stirling Award for her part in the design of a large living development called Accordia. And she’s hardly slowed down since. Her unique and award-winning residential projects can be found all throughout Britain and Germany. Unlike many of the other architects on this list, Kathryn Gustafson has made a name for herself in the world of landscape architecture. After spending her childhood in desert-like Yakima, Washington, Gustafson went to New York City and then Paris in an attempt to become a fashion designer. While in Paris, she turned to landscape design and hasn’t looked back since. Her work is characterized by her unique ability to create sculptural forms from earth, grass, stone, and water, and her most celebrated works include the Gardens of the Imagination (Terrasson, France); the main city square in Evry, France; the L’Oreal Factory; and the Diana, Princess of Wales Memorial Fountain in London’s Hyde Park. She has received a number of prestigious awards including the American Society of Landscape Architects Design Medal, the Chrysler Design Award, the Jane Drew Prize, and an Honorary Fellowship with the Royal Institute of British Architects. Anne Fougeron is a French-American architect best known for her residential and multi-family housing designs. Educated at Wellesley College and U.C. Berkeley, Fougeron established Fougeron Architecture in 1989. Since then, her buildings have been featured in The New York Times, Metropolitan Home, ECO House, and San Francisco Magazine. 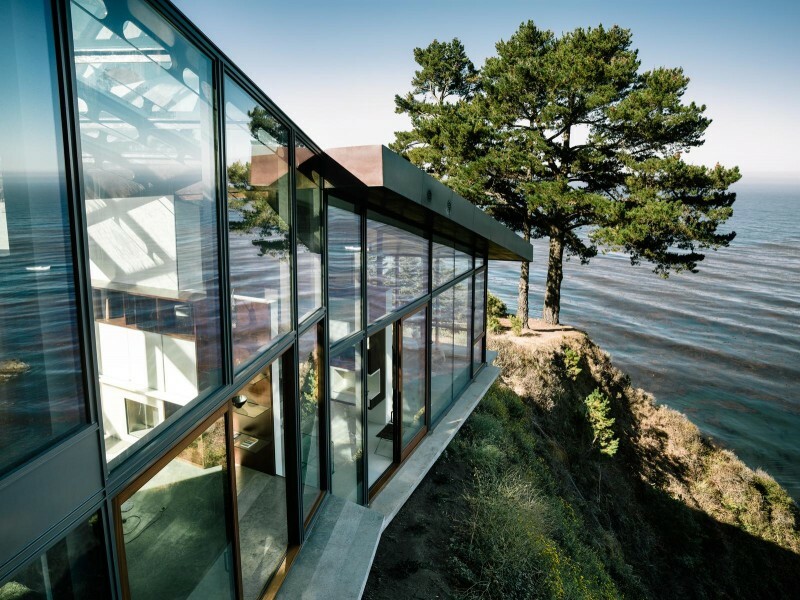 Her best known projects include The Fall House, Tehama Grasshopper, Ingleside Library, Parkview Terrace, and Flip House, the latter of which was featured in over a dozen magazines and blogs. To date, Fougeron’s work has been a part of more than 20 exhibitions, appeared in nearly 150 publications, and received over 50 design awards. Brinda Somaya is a well-known Indian architect who works with the philosophy that “the Architect’s role is that of guardian – his is the conscience of the built and un-built environment.” This belief has underlined a three decade-long career that has included large corporate campuses, public spaces, the rehabilitation of an earthquake-torn village, and the restoration of an 18th century Cathedral, among much more. 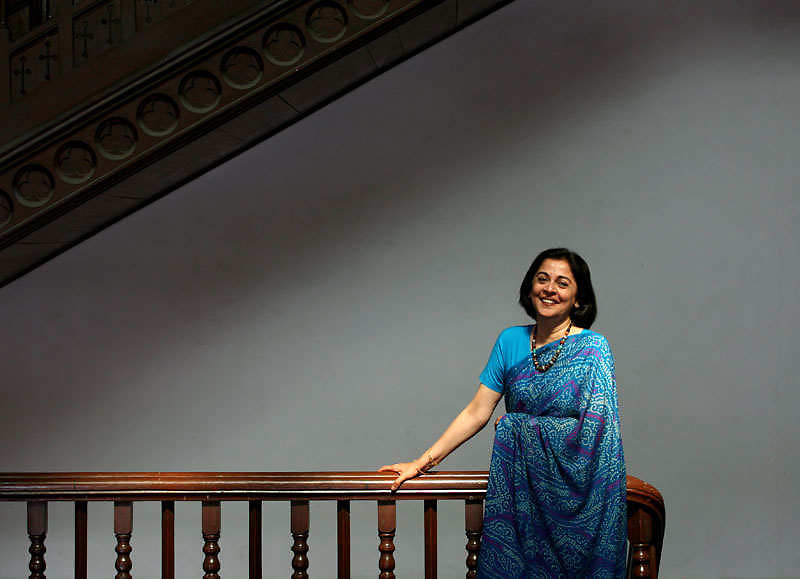 With degrees from Mumbai University and Smith College, Somaya began her career in 1978, and has worked independently and at her own firm since the beginning. Her most notable works are all located in India and include the Nalanda International School, the Goa Institute of Management, the Birla Institute of Technology and Sciences, and the restorations of Mumbai’s St. Thomas Cathedral and the village of Bhadli. In 2014, Somaya was awarded the Lifetime Achievement Award from the Indian Institute of Architects. Karen Bausman is a New York-based designer and the principal of Karen Bausman + Associates. Bausman’s signature design style is inspired by such sustainable natural structures as birds’ nests and rose blooms. In fact, one of her best-known projects, the Warner Brothers Performance Theater in Los Angeles, is built to suggest the unfolding of flower petals, a unique design which was rewarded with the prestigious Progressive Architecture Award. Bausman is also well-known in the field of architecture education. In fact, she is the only woman to have held both the Eliot Noyes Chair at Harvard’s Graduate School of Design and the Eero Saarinen Chair at the Yale School of Architecture. Bausman and her firm were also the recipients of a multiyear Design and Construction Excellence contract as part of a New York City initiative to bring new ideas to the designs of libraries, community centers, and other city-funded buildings in New York. Carol Ross Barney is a Chicago-based architect and the principal designer at her firm Ross Barney Architects. As the architect of the Oklahoma City Federal Building (which replaced the bombed Alfred P. Murrah Federal Building), Barney is best known as the first woman to design a federal building. Other notable projects include the JRC Synagogue, the James I Swenson Civil Engineering Building, and the Chicago Transit Authority’s Morgan Street Station, as well as a number of schools. Her architectural drawings have been collected by The Museum of Contemporary Art Chicago, the National Building Museum, and the Chicago Historical Society. Barney is also a Fellow of the American Institute of Architects. Dutch-born Caroline Bos is the co-founder and partner of UNStudio. Since the studio’s founding in 1988, Bos and her business partner, Ben van Berkel, have completed a number of international projects including public buildings, infrastructure, offices, residential buildings, urban master plans, and even products and some furniture. Over the years, Bos’ projects have become known for their smart and sophisticated designs, both of which are especially apparent in her best-known buildings: the Mercedes-Benz Museum in Stuttgart, Germany, and the Prince Claus Bridge in Utrecht, Netherlands. Interestingly, Bos has been described by her co-workers at UNStudio as the firm’s “secret weapon” because she was never formally trained as a designer and therefore offers an “outsider’s approach” to architecture. Elizabeth Plater-Zyberk is a Miami-based architect known especially for her success in urban planning. Arquitectonica, the firm she co-founded in 1977 along with her husband, Andres Duany, received near-instant success when one of their local projects, Atlantis Condominiums, was featured prominently in the opening credits of “Miami Vice.” Since then, Plater-Zyberk has become a national leader in what is being called New Urbanism, the wide-spread movement to retrofit existing downtown areas into trendy living space. 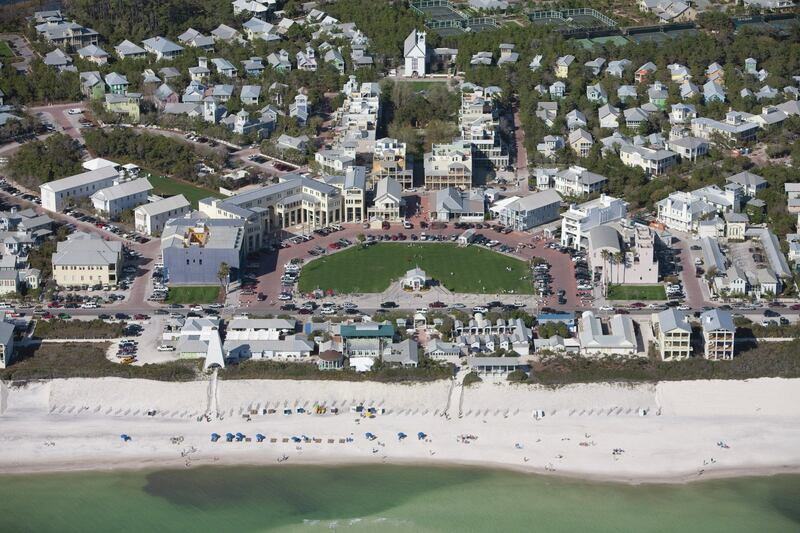 In the 1980s, Plater-Zyberk received international recognition as the designer of Seaside, Florida. Nearly, four decades later, she has completed designs for more than 200 new towns, regions, and community revitalization projects. Roisin Heneghan is one-half of the powerhouse firm Heneghan Peng Architects (hparc). Heneghan established hparc in 2009, the same year she won three major commissions: the Arabsat headquarters in Saudi Arabia, a bridge over the Rhine between St. Goar and Goarshausen in Germany, and two new buildings for University of Greenwich. Since then, Heneghan has designed footbridges at the London Olympic park, the Aras Chill Dara in Ireland, and the Giant’s Causeway Visitor Centre in Northern Ireland, the last two of which earned Heneghan a RIBA European Award and a spot on the Stirling Prize shortlist, respectively. Currently, Heneghan and hparc are overseeing the design and construction of the Grand Egyptian Museum in Giza and the Palestinian Museum in Birzeit. As part of the New York-based Aymptote Architecture, Lise Anne Couture has established herself as one of the foremost designers of luxury buildings in the world. Some of her best-known projects include 166 Perry Street, a luxury residential building in Manhattan’s West Village; the Yas Viceroy Abu Dhabi Hotel in the United Arab Emirates; and the HydraPier Pavilion in Haarlemmermeer, Netherlands. In 2004, Couture and her business partner, Hani Rashid, were presented with the Frederick Kiesler Prize for Architecture and the Arts in recognition of their contributions to the merging of art and architecture. 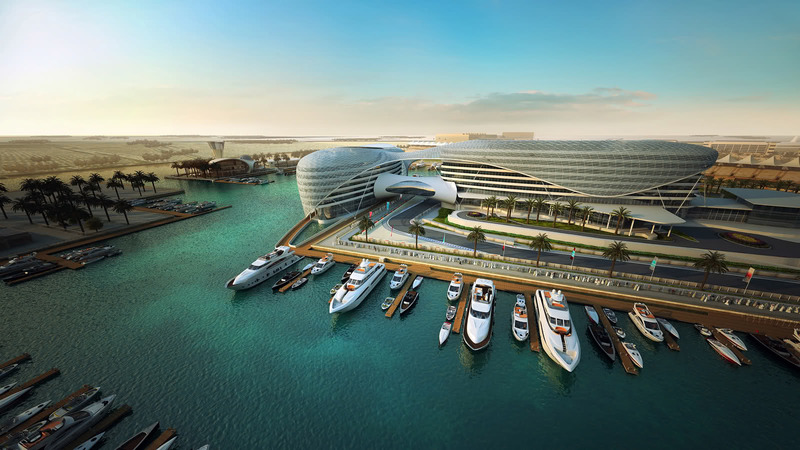 Other awards over the course of her career have included the Middle East Architect Award (for The Yas Hotel), Travel + Leisure Design Award (for The Yas Hotel), the AIA New York Chapter Design Award for Architecture, and Le Grand Prix de l’Architecture. In addition to her work with Asymptote, Couture has held teaching appointments at Yale, University of Michigan, the Berlage Institute in Amsterdam, University of Virginia, and Parsons School of Design, among others. Annabelle Selldorf is a highly accomplished New York City-based architect known for her designs of “restrained and understated elegance.” Her long list of projects includes the Neue Galerie New York, the Sterling and Francine Clark Art Institute, Acquavella Galleries, Michael Werner Gallery, the Oak Room and Oak Bar at the Plaza Hotel, and Abercrombie & Fitch flagship stores in New York, London, Milan, Paris, Copenhagen, and Tokyo. Another Selldorf project, the Sunset Park Material Recovery Facility, was the winning design of Built by Women New York City, a competition sponsored by the Beverly Willis Architecture Foundation. Selldorf is a Fellow of the American Institute of Architects and a board member of both the Architectural League of New York and the Chinati Foundation. In 2012, Selldorf was also elected into the National Academy of Design. Amanda Levete has come a long way since age 16, when she was expelled from boarding school for sunbathing naked. After completing her A-Level in Art and studying at the Architectural Association in London, Levete joined Future Systems where she was credited with making the firm’s conceptual designs more marketable. Her best-known works include the Selfridge’s department store in Birmingham, England, and the Lord’s Media Centre, for which she was awarded the Stirling Prize by the Royal Institute of British Architects. Since establishing her own architectural firm, AL_A, in 2009, Levete has served on the Boards of Trustees of The Architecture Foundation, The Arts Foundation, and The Young Foundation. She is currently working on designing a new extension to London’s Victoria & Albert Museum. The Chicago skyline just wouldn’t be the same without American architect Jeanne Gang. Born and raised in Illinois, Gang topped off an impressive architecture education with a Rotary Fellowship in Switzerland and short stint with an architectural firm in Rotterdam. Gang’s impressive resume includes the Arcus Center for Social Justice Leadership at Kalamazoo College, the Nature Boardwalk at Lincoln Park Zoo, and the WMS Boathouse at Clark Park on the Chicago River. However, her most famous project to date is undoubtedly Aqua, the unique Chicago skyscraper that has become well-known for its wavy facade. Completed in 2009, Aqua is the third tallest building in the world designed by a woman, as well as the largest project ever awarded to an American firm led by a woman. Maya Lin is best known as the designer of the haunting Vietnam Memorial in Washington D.C., a project she was awarded as an undergraduate student at Yale University. Since then, the daughter of Chinese immigrants has designed a number of other notable structures, including the Civil Rights Memorial in Montgomery, Alabama, and the Wave Field at the University of Michigan. She has also exhibited several other design projects throughout the world, and served on the selection jury of the World Trade Center Site Memorial Competition.Throughout her career, Lin has won several awards and honors for her work, one of the most recent being the National Medal of Arts given to her by President Barack Obama. In 2013, Lin completed her largest work to date, “A Fold in the Field,” which is part of a sculpture park in Auckland, New Zealand. 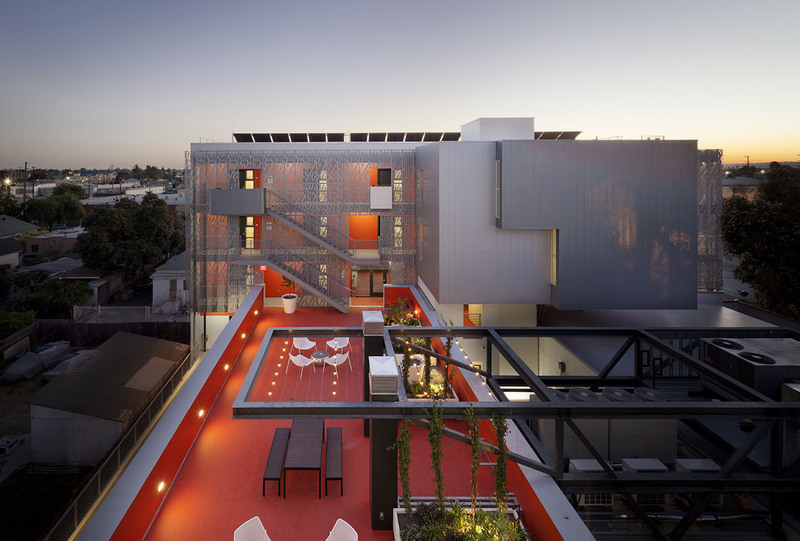 American architect Diana Agrest has a long and impressive resume that includes such projects as Les Echelles [House for Musicians] (Spain), the China Basin Project (San Francisco), private residences in Los Angeles and Manhattan’s West Side, Melrose Community Center, and various farm complexes around the world, among a number of other things. Despite her success as an architect, Agrest is best known for her poststructuralist approach to city/building revitalization and urbanism. She has, in fact, written five books on the subject, and has taught a course on “The Theoretical Practice of Architecture” at a number of highly respected universities around the world. Throughout her career, Agrest has received a number of awards and honors, including advancing to Fellow of the American Institute of Architects. Australian-born architect Julie Eizenberg is one-half of the firm Koning Eizenberg, the American Institute of Architects’ 2009 California Firm of the Year. Eizenberg is best known for her creative reuse of old buildings, and her educational facilities, public buildings, and residential homes have been featured in I.D., Metropolitan Home, Architectural Record, Travel + Leisure, Vanity Fair, Metropolis, and others. Some of Eizenberg’s best known buildings with Koning Eizenberg include the Children’s Museum of Pittsburgh (Pennsylvania), the Historic Farmers Market (Los Angeles), AMP Lofts (Los Angeles), and the Standard Hotel Downtown LA (Los Angeles). 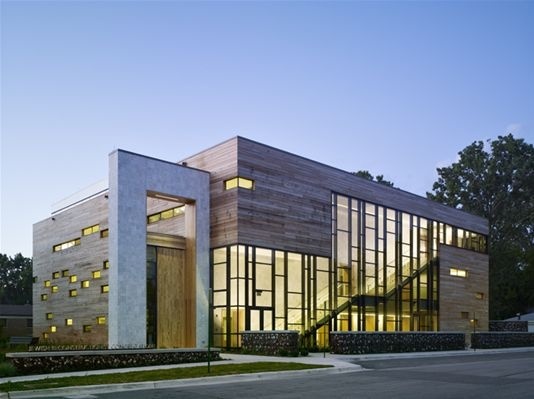 Her work has won a number of awards (most of which were awarded for the Children’s Museum) including the National Preservation Honor Award, the American Architecture Award, and the Rudy Bruner Gold Medal Award. Kazuyo Sejima is a prolific Japanese architect known for her clean and modern designs. Her career began in 1981, when she graduated from Japan Women’s University with a Master’s degree in Architecture. 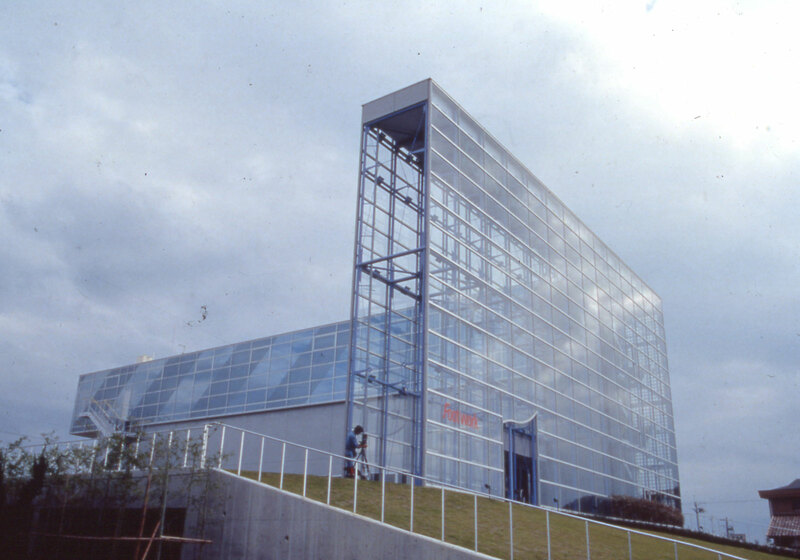 After short stints with two other firms, Sejima established SANAA with colleague Ryue Nishizawa in 1995. SANAA’s work is characterized by clean and modern elements, and often include large windows, glass, marble, and cubes. Over the course of her career, she has designed several projects throughout Japan, the United States, and Europe, including the New Museum in New York and the Glass Pavilion for the Toledo Museum of Art in Spain. Sejima has received more than 22 prestigious awards throughout her career, including the 2010 Pritzker Architecture Prize. Since deciding she would be an architect at age five, Denise Scott Brown has become one of the most influential architects of the 20th century. Brown studied at South Africa’s University of Witwatersrand before moving to London and gaining admission to the Architectural Association. Brown’s specialty in city planning took off in 1958, when Brown and her husband moved to Philadelphia, Pennsylvania. From that point, she continued to teach and mentor young architects while building a long resume of projects that include various university buildings, the Seattle Art Museum, the U.S. Embassy in Berlin, and a high-rise office tower in Shanghai. Her long career was rewarded with a number of prestigious awards, including the Topaz Medallion, the Chicago Architecture Award, and the National Medal of Arts. Benedetta Tagliabue is an Italian architect who has made her architectural mark on the city of Barcelona. She got her start in 1991, when she teamed up with Enric Miralles to found Miralles Tagliabue EMBT. With the firm’s support, Tagliabue has led such prestigious projects as the Utrecht City Hall extension (Netherlands), Parc de Diagonal Mar (Barcelona), an extension to the Hamburg Music School (Germany), and the Scottish Parliament Building (Edinburgh), the latter of which earned her the RIBA Stirling Award for Best Building. When she’s not designing, Tagliabue teaches at the University of Architecture ETSAB in Barcelona, and is a member of The Royal Incorporation of Architects in Scotland. Iranian-born Farshid Moussavi is a professor at Harvard University Graduate School of Design, an author of three well-known architectural texts, and the founder and principal of Farshid Moussavi Architecture in London. Since branching out with her own firm in 2011, Moussavi has added to her already-impressive resume with projects that include the Victoria Beckham Flagship Store (London), the Museum of Contemporary Art (Cleveland, Ohio), and La Defense Residential Complex (Paris). Additionally, her work was made a finalist in the Ground Zero competition in New York City. Over the course of her career, Moussavi and her firms have garnered an incredible number of prestigious awards, including three RIBA International Awards, the Kanagawa Prize for Architecture in Japan, the Enric Miralles Prize for Architecture, and the Lion Award for Topography at the 9th Venice Architecture Biennale. Easily the most famous female architect in the world, Zaha Hadid was born in Iraq, and educated at the American University of Beirut in Lebanon (mathematics) and the School of Architecture in London. Throughout her career, Hadid has continuously experimented with new spatial concepts and designs — a professional strategy that has resulted in multiple prestigious awards. In 2004, Hadid became the first woman to receive the coveted Pritzker [Architecture] Prize for a pavilion in Zaragoza, Spain. She followed that with back-to-back Stirling Prizes in 2010 and 2011. Some of her most famous works include the Riverside Museum in Glasgow, Scotland; the Guangzhou opera house in China; and the aquatics center for the London Olympics. Currently, Hadid is working on the Hadid Tower for CityLife in Milan, and a building that will reportedly be a centerpiece for the 2020 Olympics in Tokyo.